Alpaca Imports at 1603 Boulder City Parkway has closed. 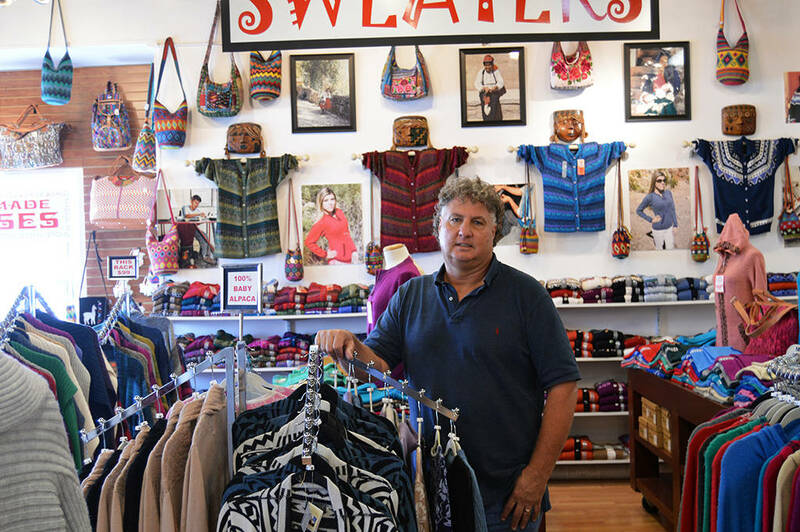 File Alpaca Imports owner Kevin Devine, seen in this photo from 2016, closed the store on Boulder City Parkway after Interstate 11 opened and reduced visitor traffic in town. According to several people who spoke with owner Kevin Devine, the closure was expected and a direct result of Interstate 11 opening. “He works on sheer numbers and the writing was on the wall with him,” said Jill Rowland-Lagan, CEO of the Boulder City Chamber of Commerce. She said that through the Economic Vitality Commission she, City Manager Al Noyola and several council members had met about a month ago with Devine, who told them he was negotiating for another location with more traffic. Rowland-Lagan and Leavitt expressed their sadness at seeing the business close, especially since Devine was a good ambassador for Boulder City and helped direct visitors to other businesses in town. Devine could not be reached for comment. The Boulder City Review is adding a monthly Business Beat column that will debut Sept. 27. The column will feature news about local businesses, including openings, closures, moves and personnel promotions. Additionally, there will be occasional looks at the lives of local business people when they are not working. Items for Business Beat should be sent to news@bouldercityreview.com or the Boulder City Review, 508 Nevada Way, Suite 1, Boulder City, Nevada, 89005.